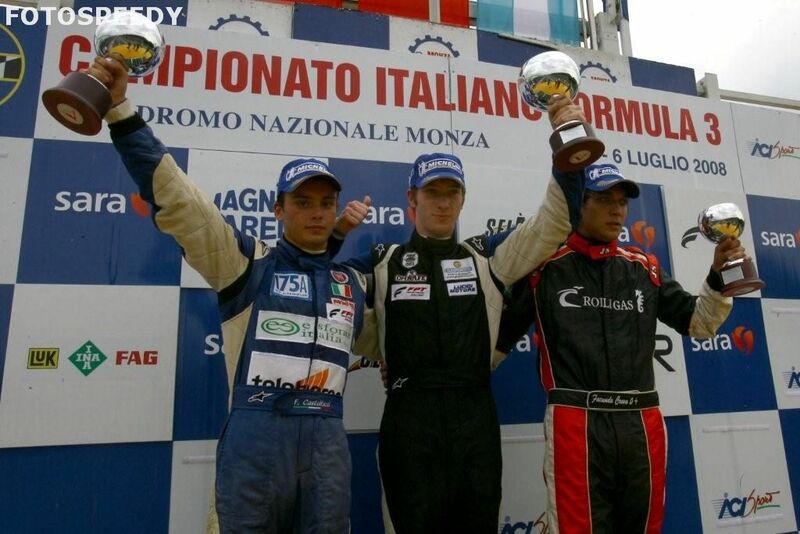 06/07/2008 - The weekend of Monza, third round of the Italian Formula 3 2008 Championship, saw Lucidi Motors in the first class role that competes to the team ruling champion. After the positive traits offered last week in the collective tests, all drivers of the team managed to highlight themselves during the weekend since free practice held Friday. Mirko Bortolotti, thanks to two great victories, sensibly decreased the gap from the leader of the classification, Edoardo Piscopo (Team Ghinzani) , standing now at 47 points at only nine adrift. Great performance from Francesco Castellacci too, who has been author of two pole positions that give a measure of the competitiveness of the Roman driver. The second place in race two closes on a roll his weekend, after the disappointment for the retirement in the first manche. Positive results from Giovanni Nava, within points in both races (with an eight and a sixth place), but moreover author of the fastest lap of race one (1'49.087). "What an amazing weekend! Mirko Bortolotti´s performances were good: he managed to have to perfect starts that allowed him to win both races I am sorry for Giovanni Nava, that after a contact with Niko Verdonck, saw his chances to get important points vanished. Nevertheless, scoring the best lap in race one is a clear indication of is growth. I am satisfied by Francesco Castellacci, author of the two pole positions: in race two he got the second place of the podium. Shame for race one whereby he was forced to the retirement due to a small error."